On Saturday, April 11, at 7 p.m. Belmont University’s Mike Curb College of Entertainment and Music Business (CEMB) will present its annual Best of the Best Showcase. The free show, which is open to the public and offers a variety of musical performances from rock to urban/pop to Christian to country, will honor longtime music executive Gary Overton with the Robert E. Mulloy Award of Excellence. This award is given annually to an individual who has achieved a level of excellence in the music business and entertainment industries with notable service to Belmont University and the Nashville community. Gary Overton has been a leading force in the Nashville music community for decades, most recently as the chairman and CEO of Sony Music Nashville, home of country superstars Kenny Chesney, Miranda Lambert, Brad Paisley and Carrie Underwood. Prior to his five-year tenure at Sony, Overton served for 15 years as executive vice president and general manager of EMI Music Publishing’s Nashville division, where he was responsible for overseeing day-to-day operations, including the exploitation of copyrights, acquisition of catalogs, signing of writers and artists, and securing record deals. During his tenure, the company earned Publisher of the Year honors from ASCAP, BMI and/or SESAC a total of 12 times. Prior to joining EMI, Overton was personal manager for country artist Alan Jackson and served tenures as head of A&R for BNA Entertainment and vice president of Warner/Chappell Music. Overton currently serves on the Belmont University/Curb College of Entertainment & Music Business Advisory Board, in addition to other volunteer efforts. As always, Best of the Best 2015 will highlight some of Belmont’s remarkable student talent with performances from the winners of the CEMB Showcase series: CVM (Urban/Pop), Taylor Agan (Christian), Baylor Wilson (Country) and Staying for the Weekend (Rock). Winners from the ASCAP Writers’ Night series will also perform, including Nate Evans, Katie Pruitt, Brad Blackburn and Andrew Tullos. 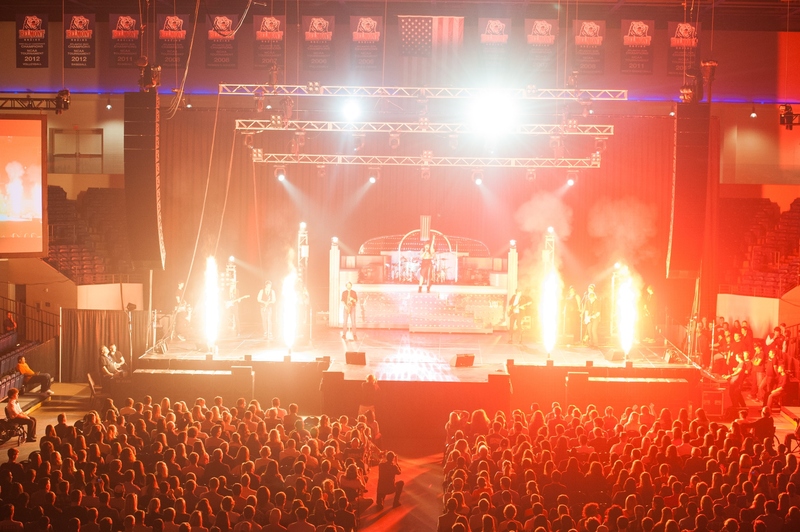 A unique and innovative aspect of Curb College offerings, the Showcase Series allows Belmont students to produce five full-scale arena concerts each year in the Curb Event Center along with an outdoor festival-style event, each with an average of 1,500 audience members per show. By partnering with industry professionals, the Belmont Showcase Series seeks to highlight student talent onstage and backstage. The series helps further the college’s goals of providing a career-oriented and practical education while also equipping students with the tools needed to prosper in diverse work environments. Best of the Best is free and open to the public. This year’s event is sponsored by ASCAP, BMI, Bandit Lites, Clair Global, Media Visions, Rabbit Hole Creative, Sertoma, Nashville Scene, Marathon Music Works, Amplify Entertainment and Infill Nashville.